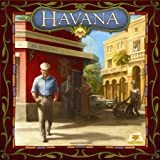 Havana is a tactical game for 2-4 players by Reinhard Staupe that inspired by its easy entry, the constantly changing order of players and countless courses of action. The order of players is determined by the value of the laid-out cards. 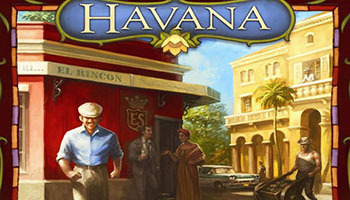 Would you rather have a siesta and rest for a while or buy some building materials at the black market? The more powerful cards are played only later in the turn. So not only is the start player constantly changing, but it is also possible that a planned action cannot be taken, as another player has already used the same role. Not all roles are exclusive, so the turn order will also determine whether your "half of all pesos in the middle" is half of eight, or half of four (if a player before you played the same card). 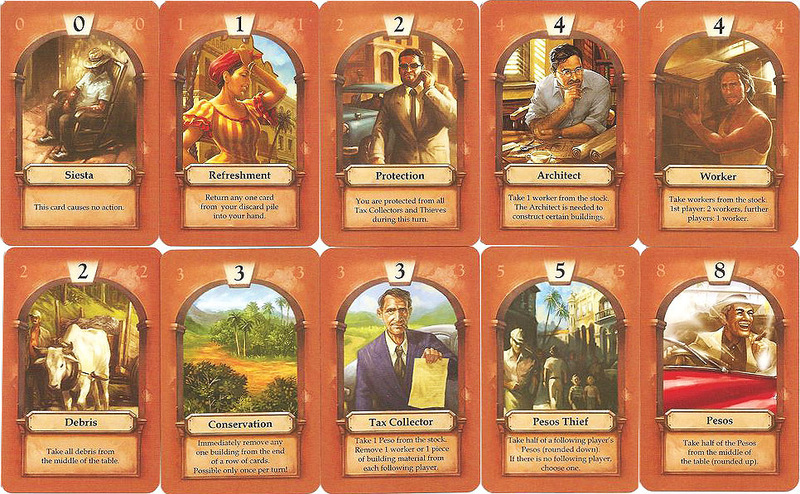 Some roles allow you to tax others or steal from them, and some cards defend against this, so it's not all just collecting pieces in a solitary manner. Some combinations require the presence of an architect, so you must choose whether to use one of your two card spots for him. Other cards add different twists. What and when to choose, who to hurt, and what you're aiming for, make up the game's main decisions.